Would you like to know how to mix tracks? If you answered yes, then you are in the right place. All you need is just a few minutes of your time and any music mixer software. 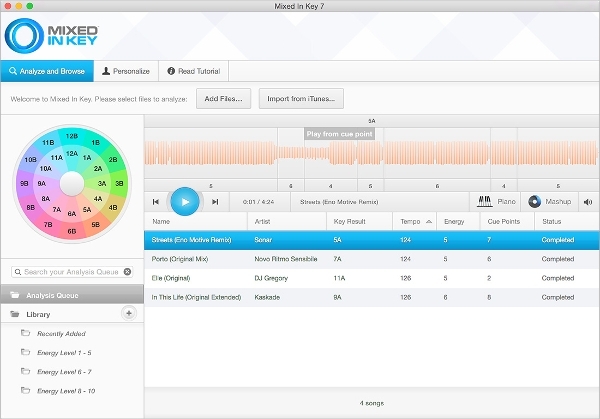 This software enables you to create a blend of music by combining different tracks. In case you are looking for a suitable software to use for DJ practice, then you should have a look at some of the below applications. If you would like to make dj mixes, then you can easily do so by using mixxx. You can use it to dj your home parties, radio dj, broadcasting and even doing a spin in a club. Mixxx has everything you need to get the best mixes. Some of the features that you will enjoy are iTunes integration, BPM detection, DJ controller and a mixing machine which is powerful. 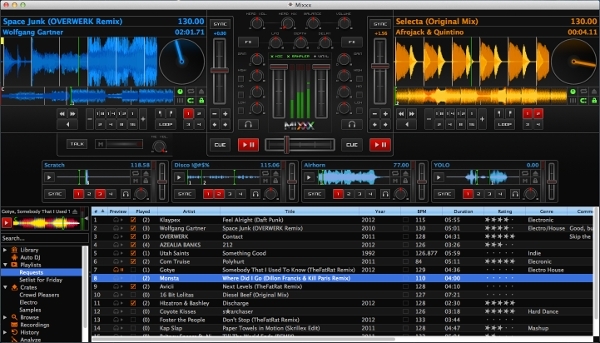 Virtual dj is one of the popular dj software which has 150 million downloads. It is commonly used by everyone even international superstars. It makes use of modern technology for mixing the songs. It has a lot of functionality and it enables you to do a number of things. You can make use of the beat aware effects to come up with mixes. 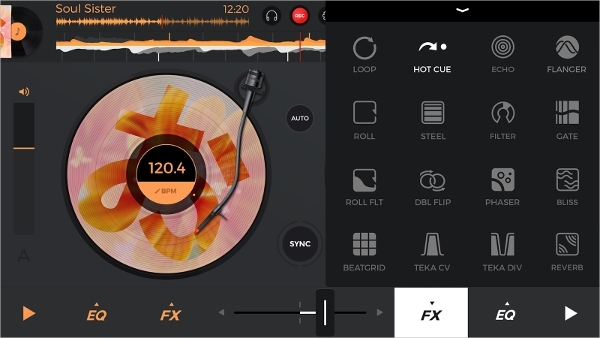 Utramixer is mixing application that is suitable for mobile DJs. It offers the DJs with you tube mixing, iTunes mixing, karaoke mixing, live camera, and slideshow. It is suitable software for entertaining a crowd. Besides, the program has a user friendly interface which makes it easy for DJs. Mixed in key is meant for both experience and even the aspiring DJ. There is no doubt that you will only get the best mixes by using mixed in key software. It will enable you to choose the tracks which are compatible. All you need is just five minutes to learn how to mix the tracks. Cute dj is an application that has a friendly user interface and a powerful engine. The application will give you a perfect mix of the song you choose. Some of the features that you will enjoy are easy mixing of audios, cue points, harmonic match, and looping points. If you love music, then you can make use of DJ mix software. There are various applications in the market that you can use for different platforms. Here is just some of the software that you can use for different operating systems. 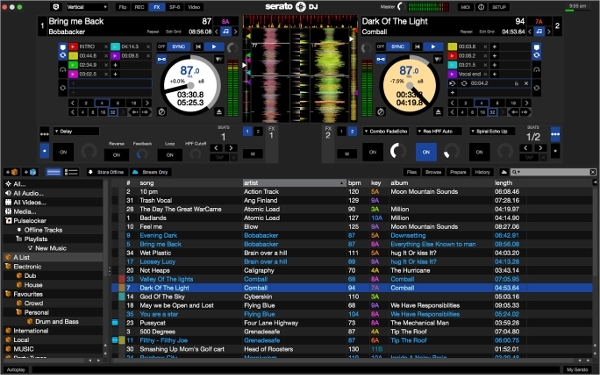 Dex 3 dj is suitable for windows and MAC. It enables you to mix music videos, music as well as host karaoke. Dex 3 will give you control of mixing. It comes with an automatic beat that is easy to that allows you to blend different tracks. Dex3 allows you to mix different songs giving out a good blend of tracks. This software is used for mixing and recording music. You can plug-in into a microphone or even the keyboard. The tool also makes it possible to stretch, copy, delete, mute, dynamics and drag. It is a flexible mixer with several plug-ins. You will become an expert in mixing in no time by using this software. Otsav is a playout system that is use by broadcasters, djs and video solution providers. It has both manual and automatic controls. It saves time, reliable, fun and easy to use. The software allows you to mix, manage and play your favorite tracks. You will get access to TV automation, radio automation software and DJ software. 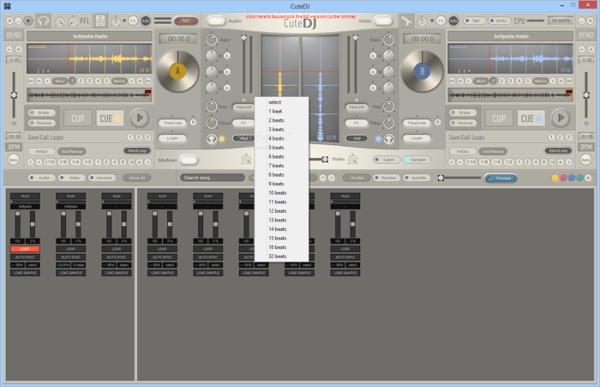 Edjing has a user interface that is easy to use. It has side effects such as loop, echo, scratch and flanger. You can share the music that you have just created. There is no doubt that there will be a blast if you hold a party. 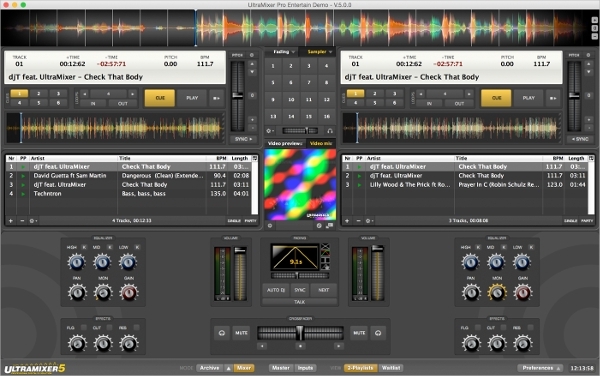 Serato DJ helps you to mix tracks with ease. The decks can be read easily and they have all the information that you need. You do not need to have several turntables to become a DJ. 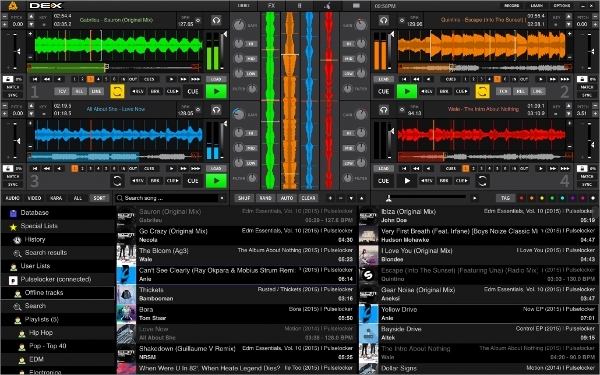 Serato DJ is user-friendly, simple, reliable and has responsive controls. It is popular and has even been used by a few DJs for live performances. 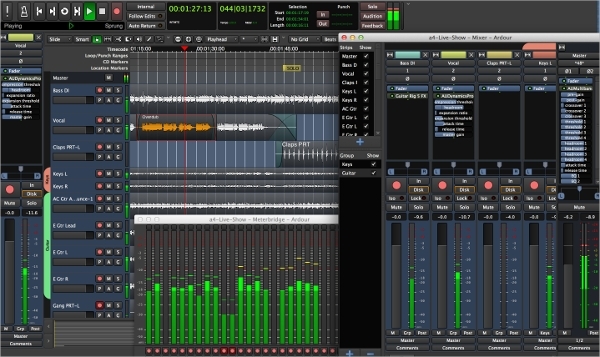 What is Music Mixer Software? Music mixer software is an application that allows you to blend songs together. 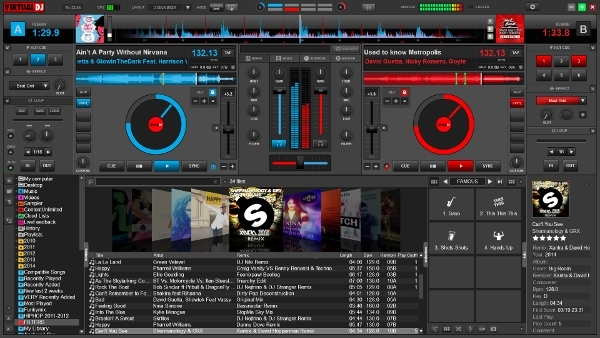 The software is suitable for both beginner and professional DJs. 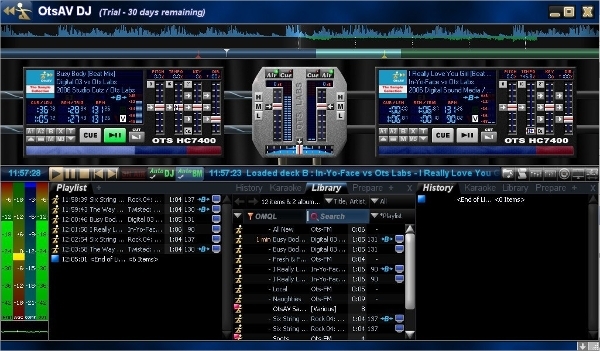 The music mixer software is convenient and simple to use. The program can be run on computers making it easy to mix the tracks. It makes it easy to get the best sounds. All you need to become professional DJ is a mixer, laptop and DJ software. Learning how to mix tracks has now been made simpler. Now that you know the different kinds of software that you can use for music mixing; it is vital to know how you can have it installed on your machine. Installing it is not difficult. You can download the music mixer from the chosen website. You do not have to make a purchase of this software. Rather all you have to do is just download it and then install into your personal computer. Downloading will only take a few seconds. You will be ready to enjoy mixing the tracks in no time. Music mixer software is used by those who love music and would like to try their hands at mixing tracks. There are numerous benefits that come with using this software. First, you will become a professional only after a few minutes or days of practice. Secondly, you get to mix your favorite songs. Music mixer software will save you time that you would have used t go for DJ classes. You can go ahead and learn how to become a DJ in very simple steps. However, even the experienced DJs can use this application to mix their tracks. Therefore, anyone can make use of the software to get a feel of mixing different tracks.